HOA MEETING IS JUST AROUND THE CORNER — COME SPEAK UP! 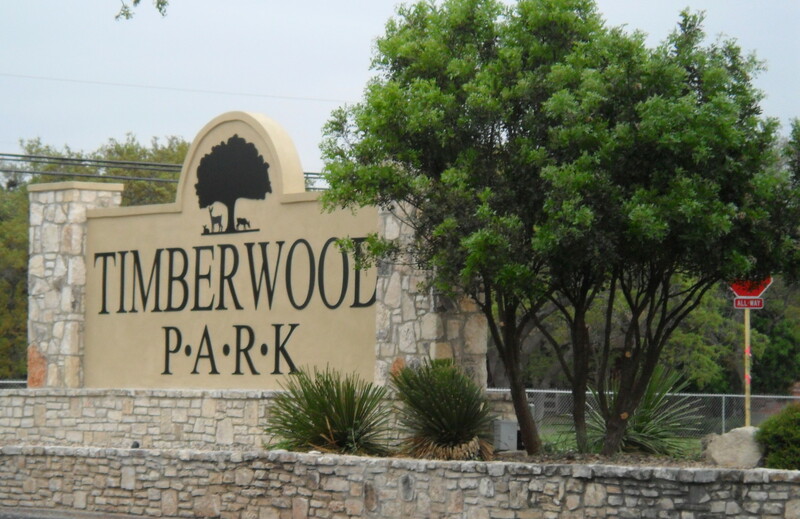 Join the Timberwood Park neighborhood at the clubhouse on August 2, 2016 for the August HOA meeting at 7 pm. This meeting is important if you own property and pay assessment fees in Timberwood Park! If you are concerned about the board deciding to build a new clubhouse, estimated to cost at least one million dollars ($1,000,000.00), without adequate property owner input, without financing details provided, without budget considerations, without adequate reserves established to cover the assets we already must maintain, without a comparison regarding remodeling the existing clubhouse vs. building a totally new structure, without your vote to approve or decline this large expenditure of your money, please plan to attend this meeting and voice your concerns. As has previously been noted in earlier blog posts, according to a board commissioned independent reserve study completed by Armstrong, Vaughn and Associates in 2014, the TPOA Board of Directors has not adequately funded the reserves allocated according to the study results to protect and maintain our existing assets and improvements. That study concluded replacement of our existing assets as they end their useful life and wear out would top $588,000.00. That same year an independent audit, completed by Gregory & Crutchfield, also cited the same $588,000.00 replacement costs for existing assets. The audit indicated that our reserve fund at that time was funded to 13.6% or $80,000.00 in the account. Our current balance in reserves is now $120,000.00. Even if we funded to 50% of value, we aren’t even close at this point! It is good business practice, and in keeping with protecting member assets already in existence, to reserve monies for repair and replacement of those assets, which means to hold or “reserve” funds in a savings account of sorts away from regular budgetary use. Reserves are typically funded to protect members/property owners from unnecessary sudden special assessments to make those repairs/replacements as assets wear out. In other words, it shows good stewardship of funds available. Reserves can also be used as a savings account to ultimately fund future improvements and investments being made on behalf of the community to curb the need for special assessments or hikes in HOA fees. The study shows a process to reach adequate protection to property owners, but the board has not followed its own commissioned study and has not funded reserves accordingly. If we to date have not adequately funded planning for upcoming repair and replacement of existing assets, how can we fund a new clubhouse which will cost approximately one million dollars ($1,000,000.00)? Where is the comparison of remodeling the existing footprint versus a new build for property owners to make an informed decision? Where is the financial research to show property owners how this can even be considered good management of our assessment dollars, much less how the project would be paid for? A new clubhouse is a “want” — Not A Need or Essential! Without adequate reserves we leave ourselves wide open for inadequate funding to cover necessary repairs and maintenance which will naturally occur in addition to our annual operating budget. This is not good stewardship or good management of our funds. It is careless. When you budget for your personal operating expenses, do you anticipate or save for large expenses that might be coming up? It’s really basic, we don’t currently have the dollars available to either build a new OR remodel the existing clubhouse! The two biggest reasons we are ranked so high in the greater San Antonio area as a desirable place to live on several sites which explore those places are we have a non-annexation agreement in place until 2032 which means no city property taxes and we have an extremely low crime rate compared to the rest of San Antonio and surrounding areas! Timberwood is one of a kind and we have an awesome neighborhood! Let’s keep it going in that direction by making well thought out and planned for decisions for the future of our common areas! Improving or replacing the clubhouse may ultimately be something as a neighborhood we should consider and whether it is a rebuild or a remodel should be determined by including solid input from all property owners before starting either project. Capital improvement projects should be prioritized according to need and/or necessity in the case of wear out or useful life end, not wants. Until we have funds available to actually make a specific project a reality, there should not be a final decision for one. Good stewardship, transparency, adequate information and formal bids should be a part of the overall planning process in order to assist property owners in seeing that a well rounded, well thought decision has been made on their behalf and that our neighborhood can actually afford what is being proposed effectively. Further, for a capital project of this size, members/property owners should be afforded the opportunity to vote what they believe is the right course before the decision is ultimately made. After all, it’s your money! Please go to the August HOA meeting! It is important to the future of the neighborhood as well as how your assessment dollars are being managed and spent. Let’s have a civil conversation sharing pros and cons respectfully about what priorities should be and must be to keep Timberwood a great place to live! In the last blog post, decisions being made by our current TPOA Board of Directors affecting all Timberwood property owners were provided. The last blog post was subsequently posted to https://timberwood.nextdoor.com where neighbors were able to comment and discuss the matter further. If you haven’t joined the timberwood.nextdoor.com feed, you may want to which will allow you to post your comments and continue discussion with your neighbors. As a recap, in June 2016, the decision to build a new clubhouse, double the size of the current one according to the discussion held at the meeting (current one being approximately 4,000 square feet – so 8,000 square feet), was verbally announced by the TPOA Board of Directors to those in attendance at this June meeting. Among the reasons cited for this new build decision suddenly announced in June: a special meeting held in May, where approximately 60 property owners, along with the board, attended to hear discussion and express their opinions of a survey sent out by the TPOA Board of Directors asking for input to determine what “improvements” property owners might/would like to see with regard to the existing clubhouse. There were no figures of cost provided, no designs shown to the audience, no formal information provided at the May meeting. The special May meeting concluded with the TPOA Board of Directors stating this would be a long process, with no decisions being made at this time, and that future meetings, opportunities for property owner input, etc. would be sought as the discussion continued. Surprisingly, even though the May meeting indicated this was still in the early stages of discussion, the June 2016 decision to build a new clubhouse was announced, and further comment by the TPOA Board of Directors stated that the decided new build would be a one story build to lessen ADA additional requirements for a 2-story build, meetings were being planned to determine what City of San Antonio design build requirements might be and so on. This blogger attended both of the above referenced meetings (May and June). As a result of the discussion above, a group of concerned property owners feel that the TPOA board of directors are making extremely large scale decisions which could impact all property owners well into the future financially without proper research, due diligence and documentation to support these decisions. By large scale, this clubhouse build could potentially cost $1,000,000.00 or more! There are not enough reserves set aside currently to cover our existing improvements/assets as they wear out or need to be replaced, let alone a new financial commitment of this size. That could potentially leave property owners in a deficit position if this project is begun prior to establishing adequate funding in our operating budget — do you want to collectively borrow to fund a new clubhouse if this project is begun prior to establishing adequate funds? A petition has been formed which is seeking to remove/recall the TPOA Board of Directors. You can find the information for this effort by following this link to Archived Docs and clicking on the “petition” button located on this page. Interested in signing or supporting the petition? Comment back! The next TPOA Board of Directors meeting is August 2 at 7pm in the Timberwood Park Clubhouse. If this concerns you, please mark your calendar and plan to attend the next meeting!